Many young people fail to understand that employment involves a contract for behaviours as well as performance. Use this resource to help them realise there is a Professional YOU and a Casual You, a productive you and a social you. They don’t both come to work. 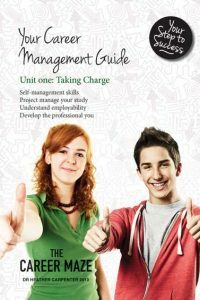 The Career Management Guide – Taking Charge provides strategies for developing the key skills of employability and self-management..
Self-Management – helps young people succeed in the transition to higher study and the workplace, with ways to self-manage study and monitor their progress. Project Manage Your Study introduces the workplace concept and skills of Project Management as a means of encouraging students to organise themselves and their study in a new and relevant framework, with the motivating factor of learning a future skill. Understand Employability is a section that encourages self-assessment of baseline workplace starter skills as well as more complex employability skills. Knowledge of the Professional YOU is required across all age groups as employers make it clear that they want young people to know what workplace behaviour to a high standard means.